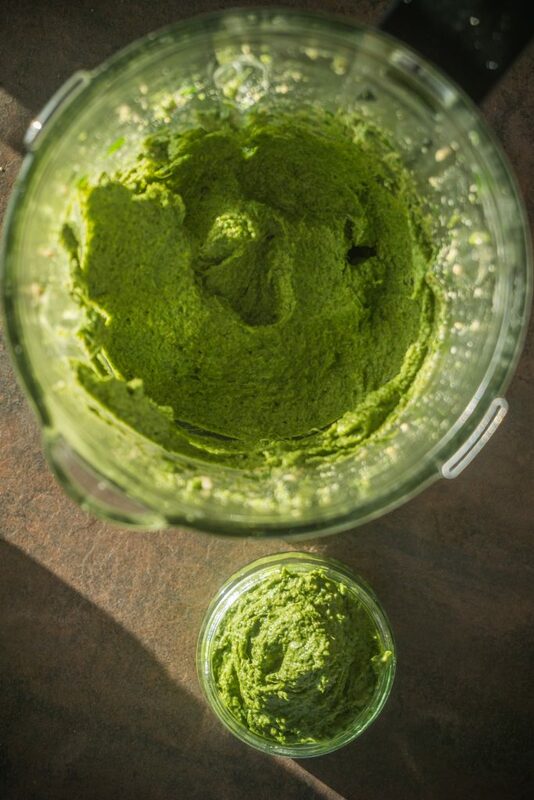 This will be the only Green Pesto recipe you ever need, using Sunflower Seeds & Parsley, it is vegan, quick & oh so simple. Shop bought classic Pesto’s, both the Red & Green are made with Parmesan Cheese or a Hard Cheese such as Grana Padano which renders them very much non Vegan. The cheese is made from cows milk & some brands creating Pesto use an egg protein in the preservatives. 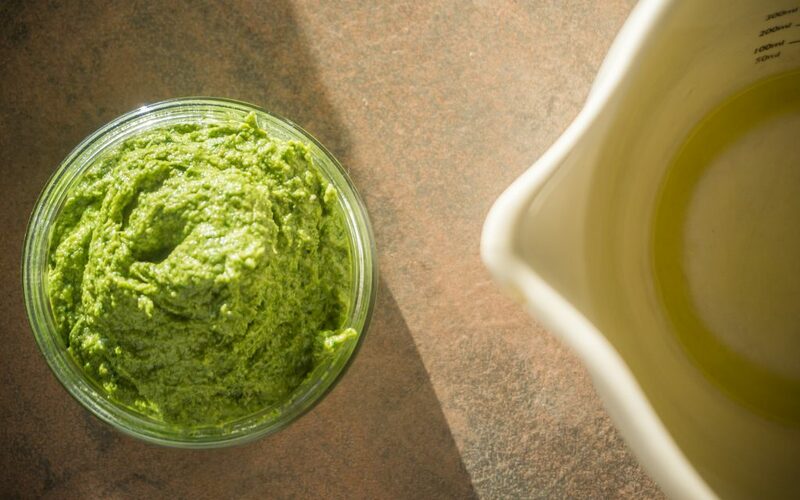 This Pesto Recipe uses fresh Parsley as the ‘Green’ however this can be swapped for fresh Basil or even fresh Spinach leaves. I feel that using Basil would give the most authentic taste, most close to the shop bought pesto varieties. 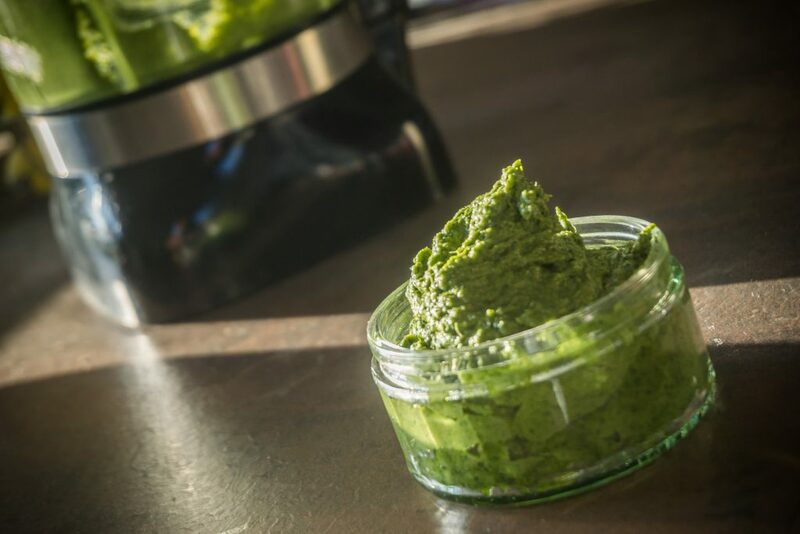 This recipe uses Parsley as I couldn’t find fresh Basil at the time but I think the substitution works just as well & gives a nice fresh tasting vegan Pesto. 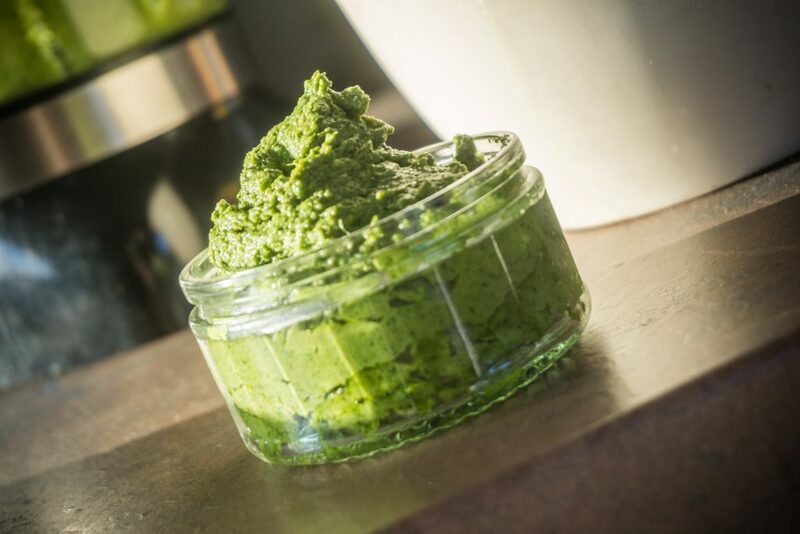 Sunflower Seeds replace the Pine Nuts in this recipe to create a cost effective yet super tasty homemade vegan pesto. – Firstly lightly toast the Sunflower Seeds & Walnuts in a frying pan until you can start to smell them & they begin to lightly brown. – Let them cool a little before adding into a blender. Blitz until they are fine crumbs. – Next add the rest of the ingredients into the blender & blend until you have a course pesto sauce/paste. – Taste & season if needed with salt & pepper. 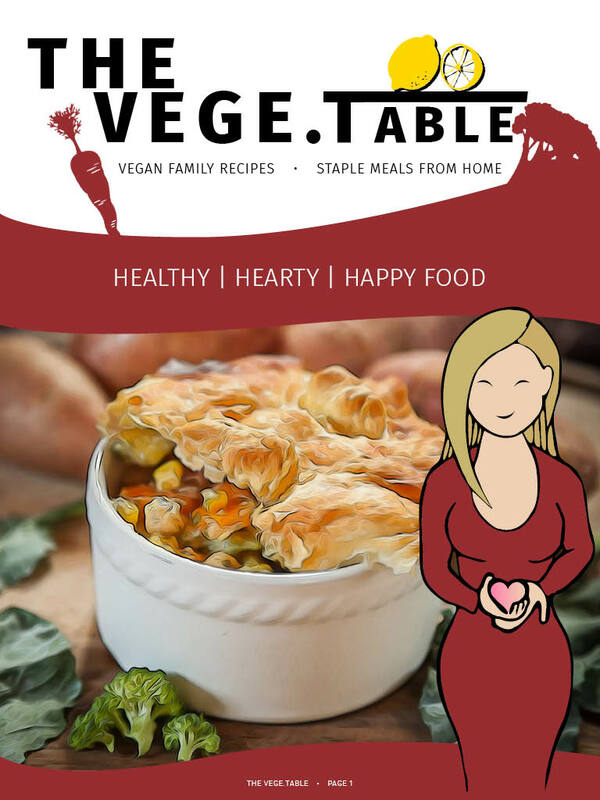 – Transfer to a tub or jar & store in the refrigerator. Serve like a normal pesto, with pasta or a spread in sandwiches.